NASHVILLE, Tenn. (January 7, 2015)--Singer/songwriter and hit-country recording artist, George Ducas, was hand-selected by the Houston Livestock Show and Rodeo™ to write, record and produce the exclusive RODEOHOUSTON® theme song. Ducas penned “Party With Your Boots On” to fit the bill. The theme song, “Party With Your Boots On” (co-written with Danny Myrick/recorded and produced by Ducas), will be incorporated into a pre-produced video created to help kick off each rodeo performance inside NRG Stadium and broadcast on FOX Sports Southwest during its regular rodeo broadcast schedule. Ducas will also appear in the opening piece that will feature full 4K video, HD motion graphics and rodeo highlights. The track will be highlighted as the musical bed under all radio and television broadcast advertisements promoting the Show’s entertainers and events. The Show will produce the corresponding full-length “Party With Your Boots On” music video; the video will appear on a number of Houston community websites as well as the Show’s website and social media outlets. Ducas will perform at the Show’s World’s Championship Bar-B-Que Contest held at NRG Park on Thursday, Feb. 26, 2015, from 5 to 11 p.m. He will proudly debut “Party With Your Boots On” for the Show fans. The three-day World’s Championship Bar-B-Que Contest traditionally hosts record-breaking crowds. Ducas released his latest full-length album, 4340 (from Loud Ranch) in October 2013. As a sought-after tunesmith, he is trademarked as the “go-to-guy” by many recording artists. 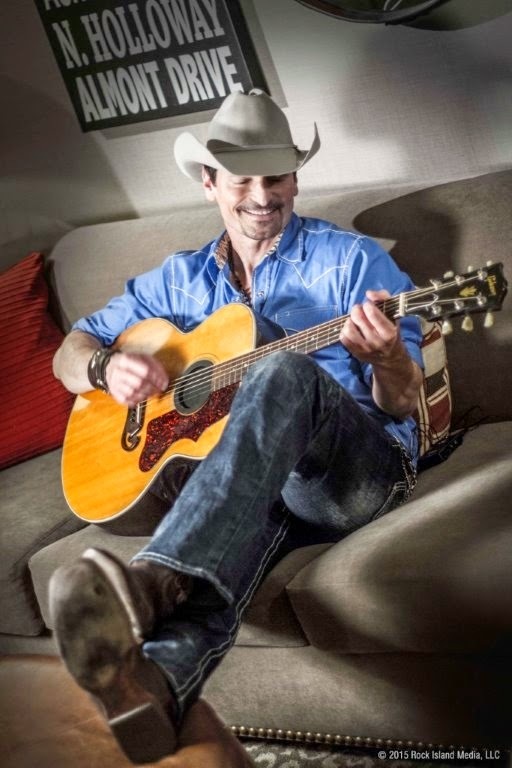 The George Ducas signature appears in multiple top country hits such as “Real Fine Place To Start” (Sara Evans), “Won’t Be Lonely Long” (Josh Thompson) and “Always The Love Songs” (Eli Young Band). He is credited with cuts recorded by some of country’s greats, including George Jones, Garth Brooks, Trisha Yearwood, The Dixie Chicks and The Randy Rogers Band. For more on George Ducas, please visit www.georgeducas.com.